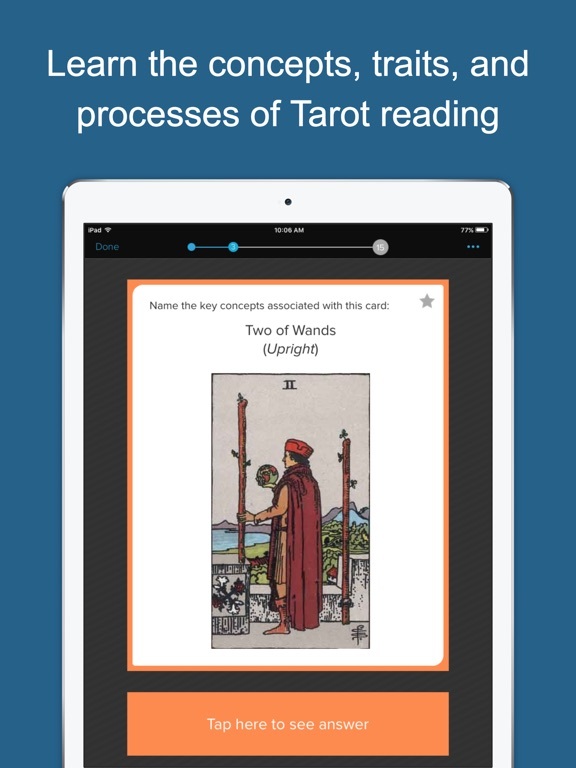 Tired of consulting your Tarot handbook in the middle of a reading? 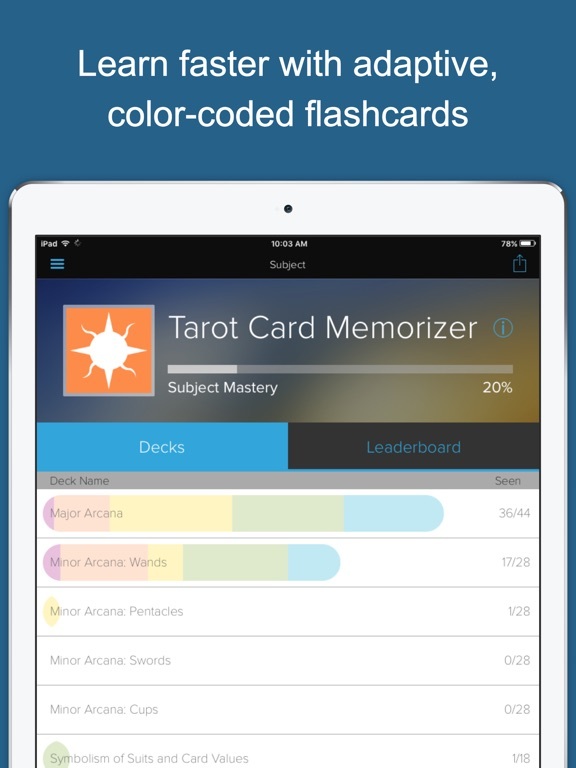 Memorize the key ideas of every Tarot card once and for all with Brainscape’s Tarot Card Memorizer! 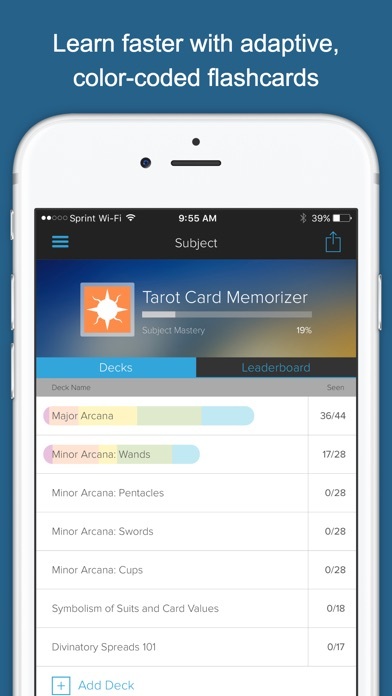 We’ve taken both the upright and reverse meanings of each card and stripped them down to their core concepts, providing you with select keywords that will allow you to give more fluid readings without having to constantly consult a guide. 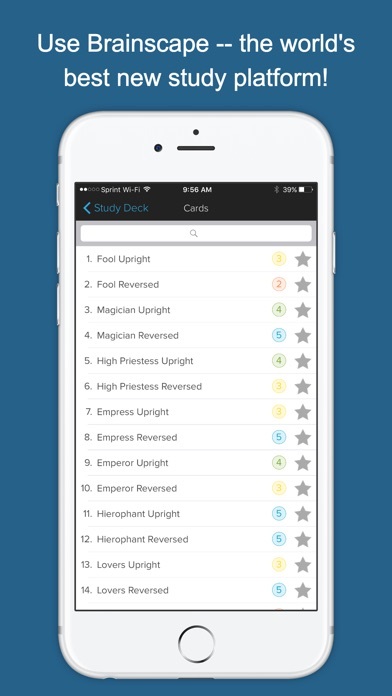 After mastering the Major Arcana and Minor Arcana decks, your brain will be equipped with a set of keywords that will be triggered from just a single glance at a card. 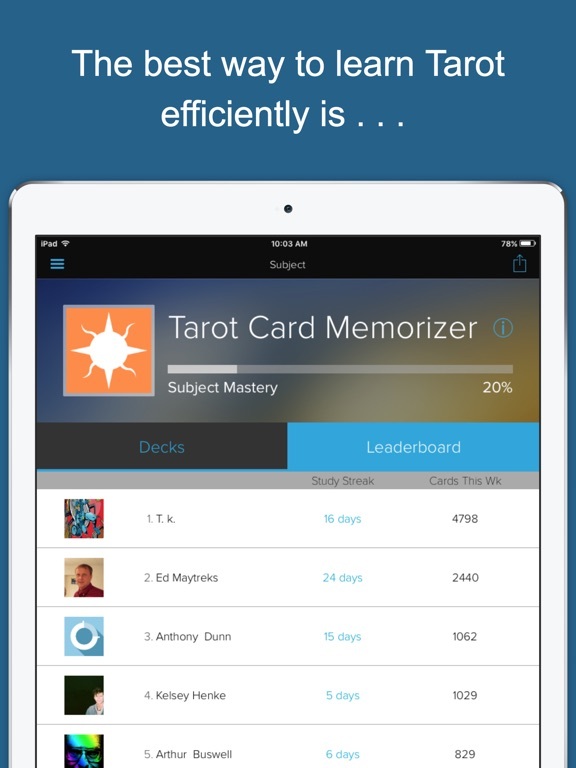 As an added bonus, the Tarot Card Memorizer also comes with a deck for memorizing the symbolic meanings of suits and card values, as well as a deck for memorizing the layout and interpretation of eight divinatory spreads! 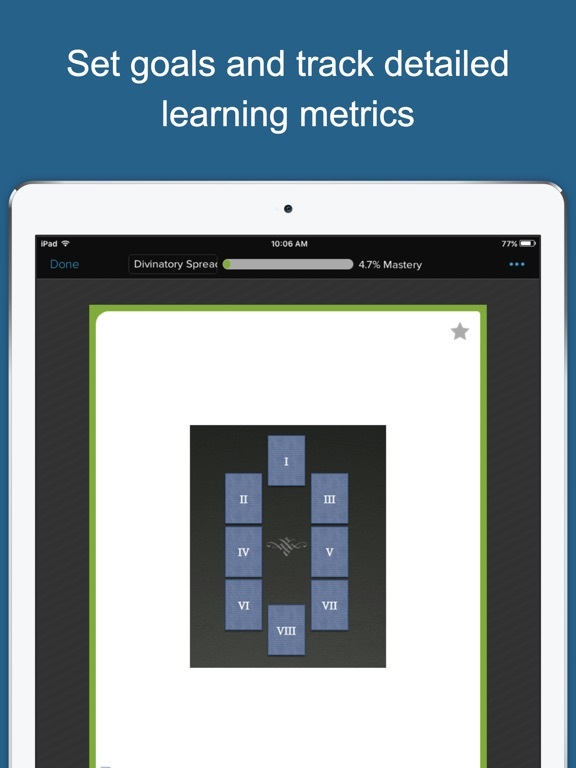 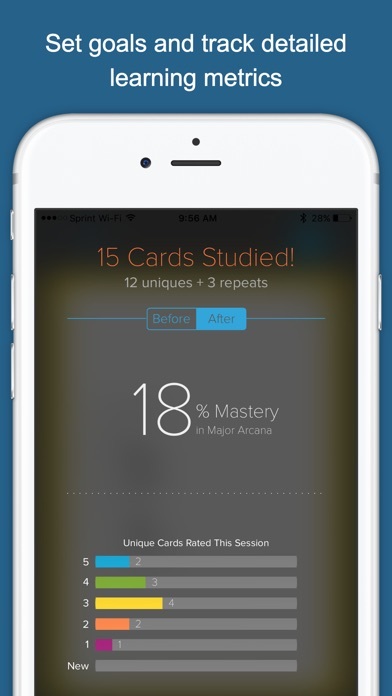 Brainscape’s acclaimed Confidence Based Repetition system makes the memorization process efficient, portable, and fun. 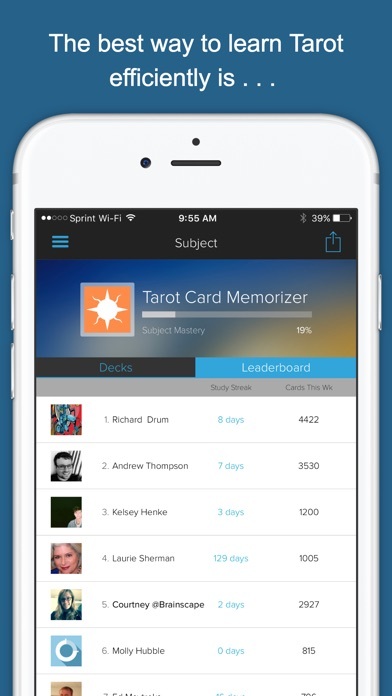 Ideal for experienced diviners or Tarot newcomers, our Tarot Card Memorizer is everything you need to perform a reading off the top of your head. 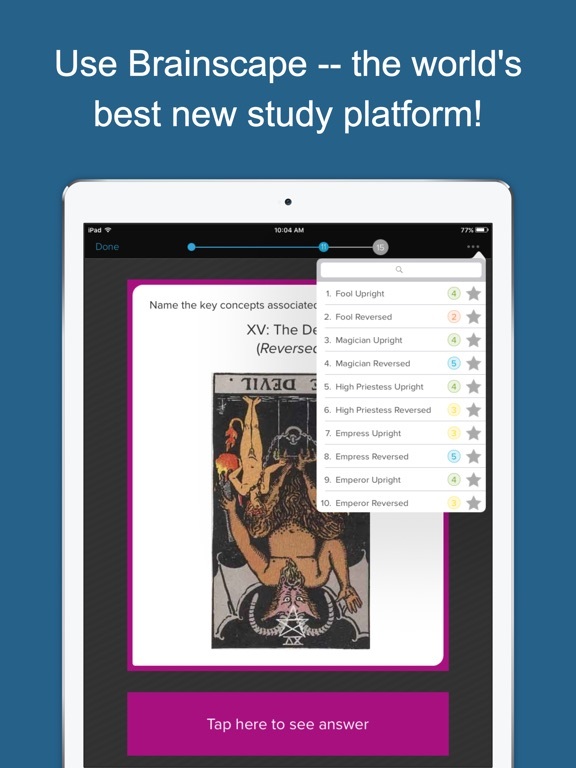 Happy divining! 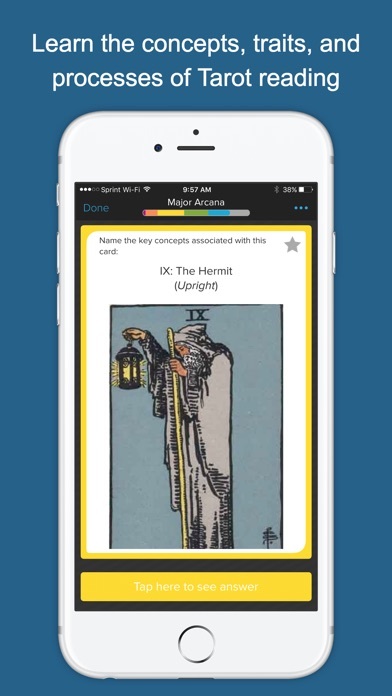 Note: Each card contains the complete Tarot image, these screenshots can only capture half the image.